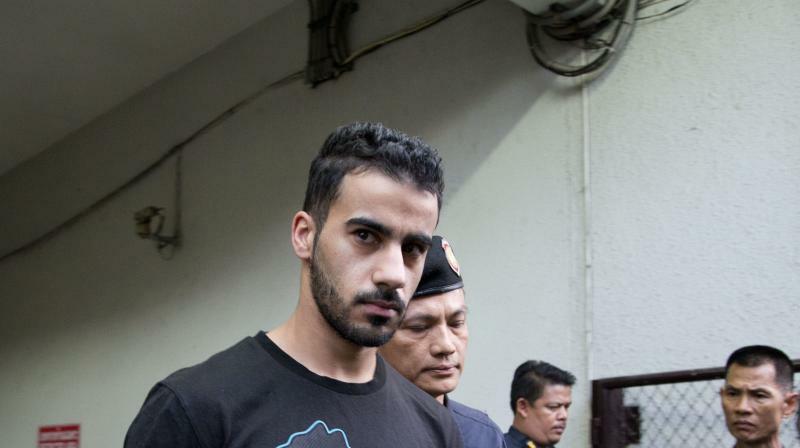 Bangkok: A refugee soccer player was freed by Thailand and left on a flight to Australia early on Tuesday after prosecutors said they were no longer seeking his extradition to Bahrain in a case that has drawn worldwide attention. Aal-Araibi's lawyer Nadthasiri Bergman and Thai Immigration Police chief Lt. Gen. Surachate Hakparn both said he left Thailand shortly after midnight, on a scheduled flight taking him directly to his Australian hometown of Melbourne. "This is a huge victory for the human rights movement in Bahrain, Thailand and Australia - and even the whole world," said Sayed Alwadaei, the director of advocacy at the Bahrain Institute for Rights and Democracy. "Hakeem's ordeal ended after 70 days when there was a clear public stance and solidarity movement."